Bubble Shooter is a great new bubbles shooter game with 900 amazinglevels, like the classic bubble shooter and arcade bubble shooterversion every one loves.in Bubble Shooter you will have many levelsand unique features that make it better then the other bubbleshooter game,in Bubble Shooter you dont just burst bubbles andfinish the level, here you have very special levels design andunique ball mechanicthat will keep you playing for long timeBubbleShooter will keep you playing for long time with many uniquelevels,each level is specially designed to be fun and strategic andbetter then before,in each level you will have to figure out thebubble puzzle and how to pop all the balls.Bubble Shooter issimilar to the old school classic and arcade bubble shooters, shootbubbles at a matching color bubble and make a match of at least 3with the same colorto make them burst, every bubbles you burst willcharge your boosts that you can then blast where ever you choose toin order to clear the levels and get rid ofhard to reach places,just tap the screen to shoot a bubble, tap and hold to see the aimdirection.remember you can bounce balls from the side of thescreenand hit bubbles you couldn't hit with a straight lineBubbleShooter have many Unique Boosts the will help you complete eachlevel:Super Ball - Burst every thing in its wayBomb Ball - Blastand Explode when it hit other bubblesSuper Aim - make the aimingdots longer and more precise to show you clearly where your ballwill hitBubble Shooter is specially designed with unique bubbleballs to pop, such as:Spike Ball - pop and burst every thing ittouches and doest do a match of 3 bubblesIce Ball - pop balls nextto it and it will convert to their colorQuestion Ball - every timeyou shoot your bubble the color of the question ball willchangeCloud Ball - make a match of at least 3 of the same color asthe cloud ball next to it to make it popWood Ball - you will haveto burst all the bubbles around it to make it fall down, this ballcannot be matchedand many more!!! Like space shooting games? Then Bubble Assault is your perfectmatch!Download for free to your Android device, shoot and pop allthe colorful bubbles and save the planet from the alien invasion!Bubble Assault is a top online puzzle game, designed for all of youfans of puzzles and logic riddles. Get ready to show somecolor-matching skills in hundreds of challenging levels, start theepic journey through the galaxy, overcome obstacles and clear theboard. Join the space battle and smash all bubbles towin!Features:* Hundreds of awesome levels packed with fun puzzlesand challenges. * Space-themed graphics and designs. * Powerfulboosters that will help you on your quest. * Addictive and classicgame mode. * Free to play!Playing our awesome and fun the game iseasy. All you have to do is follow these steps: - Drag your fingerto move the laser sight and lift it to smash bubbles. - Match atleast 3 bubbles of the same color to pop the group and win points.- Explore hundreds of galactic puzzle levels. - Swap bubbles andplan your shots ahead. - Blast all bubbles and win levels - Trygetting 3 stars on every level by reaching high scores. - Swapbubbles without limit, just tap on the bubble to change its color.- Use special cosmic power-ups that will help you complete thebubble-packed challenges. The whole family will enjoy this awesomebubble blaster game. Play now and join the galactic adventure!Allrights of Bubble Shooter™ are owned by Ilyon Dynamics Ltd.
Hit and pop all the balls and clear levels in this fun addictivebubble shooter game. Join the bubble shooter force and overcome allthe obstacles on your way to victory, because nothing spells powerlike popping bubbles! Play and Enjoy * Drag your finger to move thelaser aim and lift it to pop bubbles. * You need to match at least3 bubbles of the same color to pop the combo and win points. *Clear the board from all the colored bubbles. * Enjoy hundreds ofawesome levels! * Solve the puzzles and beat challenges. * Bubbleswap option is totally free, just tap on your bubble to change itscolor. * Reach top scores and try to earn 3 stars on every level. *Play anytime and anywhere, online or offline- no internetconnection is required. Awesome Boosters Featuring: The fireballand the bomb power-ups that will help you blast through difficultlevels and smash all the bubbles. Start this exciting bubble packedadventure today! 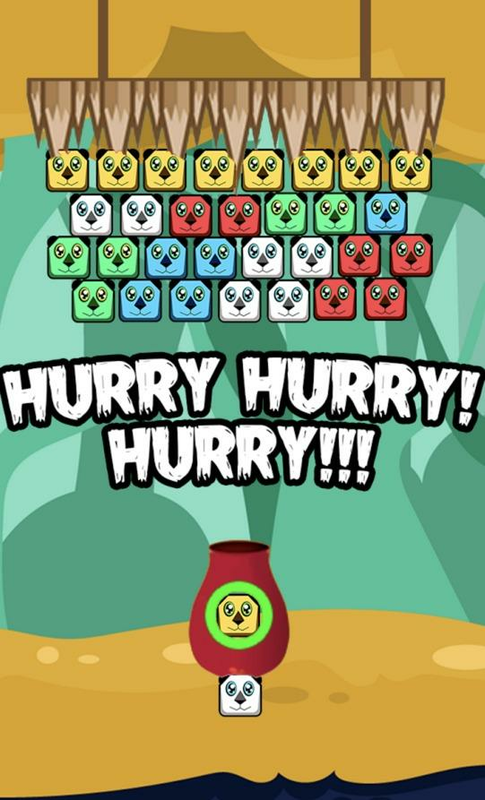 Solve all the fun puzzles and win levels. PowerBubbles game is extremely fun and addictive and super easy tolearn. Download now from the play store and play anytime andanywhere, it’s totally free! Don’t miss out on this incrediblebubble popping fun. Experience this awesome and challenging bubbleshooting game where you have to hit and pop the balls, completemissions and clear levels.Play through hundreds of bubble-packedlevels and enjoy the most amazing gameplay anywhere and anytime! Play this super addictive and relaxing bubble shooter game, hit allthe colorful balls, reach the level target and win! The awesomeBubble Strike board game offers different puzzles and challenges,amazing graphics and hundreds of mythical levels - all for free!Sowhat are you waiting for?Get it now from Google Play and join theadventure at the mysterious bubble cave, pop the top of the screento win and escape! Match and pop all the colorful balls to clearthe board and move on to the next awesome level. Boost your gamingexperience with splendid power-ups that will create big explosionsand clear a path to victory! Just aim and shoot 3 or more bubblesof the same color to create a line crush and pop the group. Tap onthe screen to drag the laser aiming and lift it to smash bubbles.You can swap bubbles without limit, simply tap to change the color.Try reaching high scores and earning 3 stars on every level.It’sfun and entertaining! Enjoy hundreds of challenging levels in athis awesome bubble pop free game. It’s the perfect pastime game toplay when you want to relax and clear your mind. So warm up yourfingers and get ready to practice your color-matching skills. Enjoyplaying the game and don’t forget to rate us! Bubble Fire Pop is a fun addicting bubble shooter game availablefor free on Google Play and simply perfect for your Tablet orAndroid device!If you are looking for some crazy bubble burstingfun you came to the right place. Join the cosmic adventure!Download now and enjoy hundreds of awesome filled with coolchallenges and puzzles. It’s fun and addictive!Game Features:- Coolgraphics and effects, tons of colorful bubbles. - Super Swap boostthat gives you the chance to swap between 3 bubbles. - Super Aimboost that helps you make a precise shot. - Awesome puzzles andchallenges. - Hundreds of galactic levels. - Fun and easy gameplay.Try out the fun Bubble Fire Pop game for free, pop the colorfulbubbles and beat all the challenges!How to Play:- Match 3 bubblesof the same color to pop the group and clear the board. - Shoot allthe bubbles and win levels. - Change the color of your bubble witha tap, it’s completely free. - Plan ahead and work out a strategyto overcome the obstacles. - Blast bubbles to advance to the nextexciting puzzle level. Popping bubbles is definitely the best wayto relax and pass the time, play today and experience hours ofendless fun! A fun bubble shooter game packed with colorfulbubbles, lively graphics and hundreds of puzzle levels. Beat allthe challenges and plan your every pop to rescue the cute cats fromthe bubbles that trap them!--Get it now and join the exciting adventure!--Bubble Cat Frenzy is a super addicting puzzle game on Android! Aim,match and pop all the colorful balls on your screen to win pointsand level up. Boost your gaming experience with great power-ups:the bomb and the fireball will take out surrounding bubbles and cutthrough a safe pass.--Play and Win!--* It’s important to form a strategy according to the differentbubbles layout in each level. * See which bubble color you aregoing to get next so you can plan ahead your moves and create bigexplosions. * Bubble swap option is totally free- use it wisely!All you have to do is tap on the bubble to change its color.Fun levels!Explore hundreds of thrilling levels filled with cool boosts andbonuses, colorful graphics and challenging puzzles. Use your logicand matching skills to overcome the obstacles and pop all thebubbles!So what are you waiting for?Download Bubble Cat Frenzy for free, blast bubbles and rescue thesweet cats.It’s a great fun online game for everybody to play enjoy – try itout today! Shoot and blast the colorful bubbles and win levels in thisexciting free online game!Bubble Shooter Popper is an awesomepuzzle game available for free on Google Play with hundreds ofchallenging levels to satisfy your itch for fun puzzlers and brainteasers! HOW TO PLAYCreate groups of 3 or more bubbles of the samecolor to burst and win points. Your goal is to clear the skies fromall the colored bubbles, so you better warm up your fingers andstart popping balls! Enjoy the relaxing space setting and explorehundreds of awesome levels filled with powerful boosters and funpuzzles. UNLOCK AWESOME BOOSTS* Pop 7 bubbles in a row to get afireball that will explode surrounding bubbles. * Drop 10 bubblesor more to get a bomb that will clear the adjacent bubbles. * BubbleSwap is completely free, see which color bubble you’ll get next andwork out a strategy to defeat all the space challenges. KEYFEATURES - Featuring hundreds of amazing levels.- Cool designs andeffects. - Extremely addictive gameplay. - Fun for the wholefamily!- Awesome puzzles and challenges that will keep you busy forhours!All rights of Bubble Shooter™ are owned by Ilyon DynamicsLtd. Do you enjoy the excitement of classic word games? DOWNLOAD TomBubble, it TRAIN your brain - for FREE!Tom Bubble is great bubbleshooter game template. Target of the game is help to Tom to saveher babies from bubbles. The Asset includes many game features andobstacles. The player has to pass levels using ingenuity andsleight of hand.What makes Tom Bubble so special?• Simple, easy,and addictive gameplay! :✔ 100 Level✔ Want to check previous levels?Go back to the Level List and play again!✔ Up to 6 delicate themesfor you to choose from!✔ Charts with friends✔ Friends on a MAP ✔Shop of Life refill ✔ Facebook “share” buttonTom Bubble is an appdesigned to train your brain and learn new words, all while havinga great time. Share the fun with your friends & family andenjoy Tom Bubble together!Asset constantly developing. Please leaveyour rating for this Asset. We are really appreciate it!Thank you!